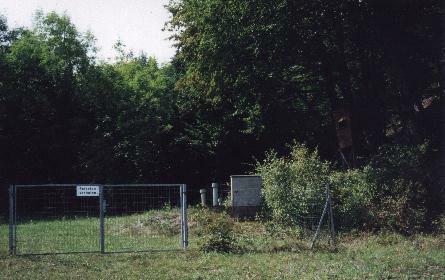 Border of Slowenia. 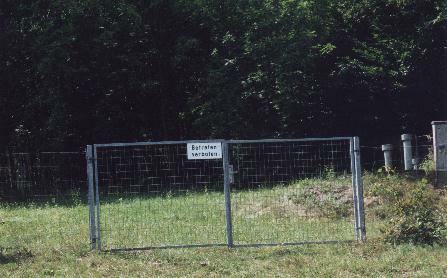 "Betreten Verboten", which means trespassing forbidden. Needless to say, we didn't stray off the road. Looking closely at the picture (to the right and half-way down the picture), you can see what looks like a little wooden building set on stilts with a small window. We wondered if this had been used as a guard shack at one time.